According to the American Heart Association, children as young as nine-years-old can learn and retain CPR training. Though many children at that age do not yet have the strength to perform an adequate chest compression on an adult, learning this life skill will stick with them for the rest of their life. 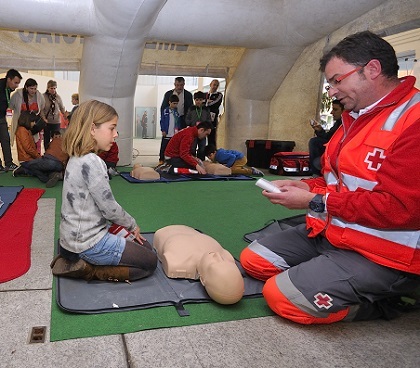 There are countless incidents of young people performing CPR, first aid, or utilizing other emergency training skills to save a life, sometimes years or even decades later. 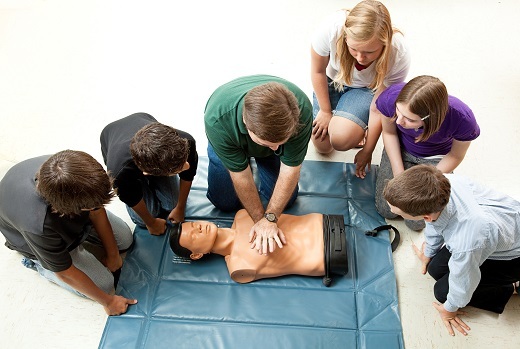 Who Should Teach Youth CPR Training? If you’re considering CPR training for your child, make sure the person teaching the skill is a certified CPR Instructor. Most organizations that teach CPR also recommend refreshing the training every two years to keep skills sharp, learn about any changes in methodology, and to help strengthen muscle memory. The Boy Scouts of America, Girl Scouts of America, American Heart Association, the Red Cross, and many schools across the United States provide training CPR and First Aid training to youth and children. Organizations like ours, The Response Institute, work actively to teach youths throughout Virginia and North Carolina CPR and other lifesaving skills. There are stories all across the nation about young people using CPR to save parents, other children, and people in need of help. 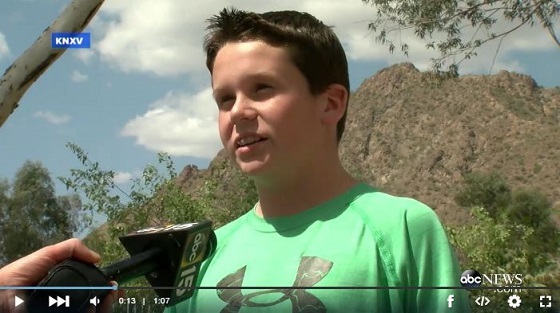 This 13-year-old boy from Arizona had learned CPR in the boy scouts a few years earlier and was able to save the life of his baseball coach when he fell to the ground in the middle of practice. This young man learned first hand the impact he had on not just this man’s life, but also the lives of his family and friends. CPR training helped this boy act heroically in a very frightening situation. Though training and skills should be updated and refreshed every two years, those skills will stay with your child for life. You never know when they might come across a terrible car accident or emergency that will put their CPR skills to the test. There are countless examples of young people that perform CPR or other heroic acts to save others, even years after training. Take for instance this Eagle Scout that jumped into the water to help a trapped women escape from her car as it sank into a river. Without training, he might not have had the skills or confidence to act. Most agree that exposing children to CPR training a young age or around 9 or 10 years old is good exposure, but it’s important to keep refreshing those skills every two years. Contact us if you’d like to learn more about CPR training course for young people or would like to schedule a group training session.